You can make the hard work of keeping up with the cleaning of your chimney much easier with the right tools. Soot, ash, sticky creosote and other by-products are the inevitable result of a good wood fire. To keep your appliance efficient and safe you must keep your chimney and vent pipes free of buildup that can reduce efficiency, reduce air flow and proper draw. 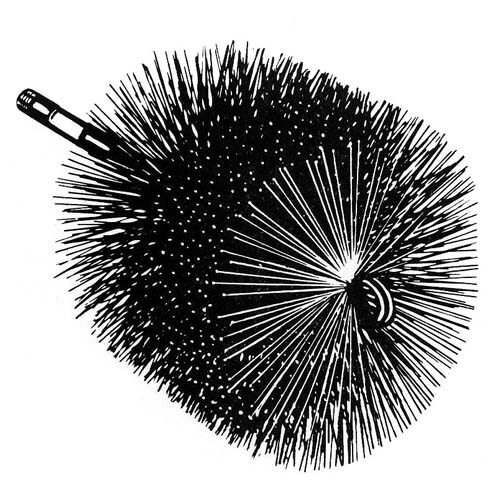 This chimney brush features round wire bristles especially designed for brick chimneys.